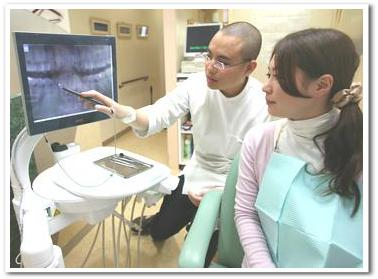 We perform holistic dental treatment which is most suitable for you. 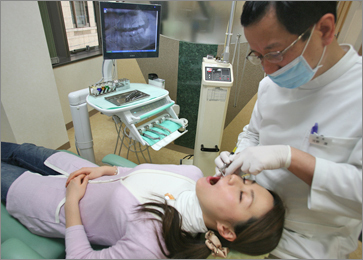 In pain control, the techniques of Oriental medicine are used and dental treatment which is as painless as possible is carried out. We can also assit in postoperative sharp pain relief and the medical treatment of temporomandibular disorder because “Infni,e Treatment Center” is in the same building. We talk with you as much as possible, and chose the best dental treatment for you. About the dental materials; we use those with high affinity with the living body as much as possible because we care about metal allergy. 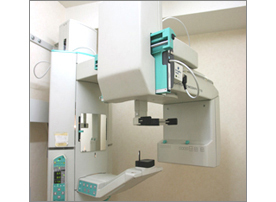 At our clinic, digital X-rays were adopted first in Osaka.The digital X-ray system can take a picture of your teeth, then almost immediately show it to you on a computer monitor while you are in the dental chair. 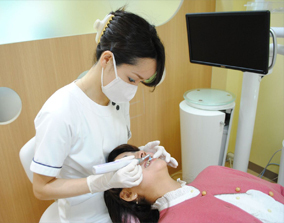 Please undergo dental treatment in comfort at our clinic. We takes all possible measures in sterilization and disinfection of all instruments and for prevention of hospital infection. We are making affects for especially dental treatment, periodontitis prevention, and the care of the periodontosis which is a lifestyle-related disease. Address	541-0045　Kono Yakuhin Bldg 4F. 4-4-2 Doshomachi,Chuo-ku,Osaka,Japan. *Our clinic has an appointment system. 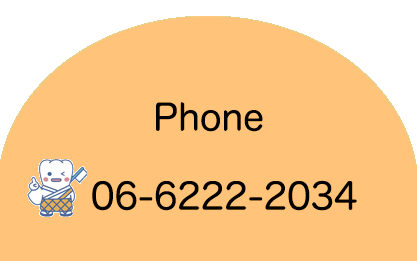 Please call us before visiting our clinic.